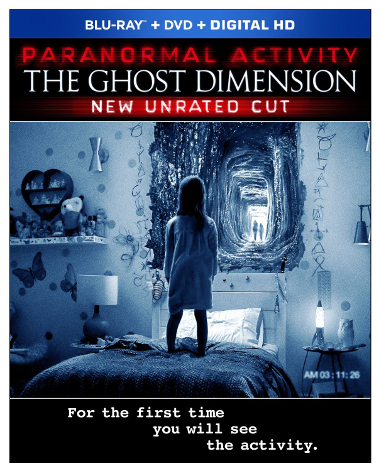 Paranormal Activity - The Ghost Dimension didn't have a jaw-dropping box office result with $77 million despite being in 3D and despite surely being profitable with a $10 million budget going in. But it's the finale anyway so we take a look at the (probably) last film of the franchise and its home video release. On December 15th, 2015, it'll be available on VOD in the US. Apart from the theatrical version, the obligatory Unrated Cut is also being offered. On January 12th, 2016, the DVD and Blu-ray will follow. We'll see what the differences are once we can get our hands on the 2 versions.